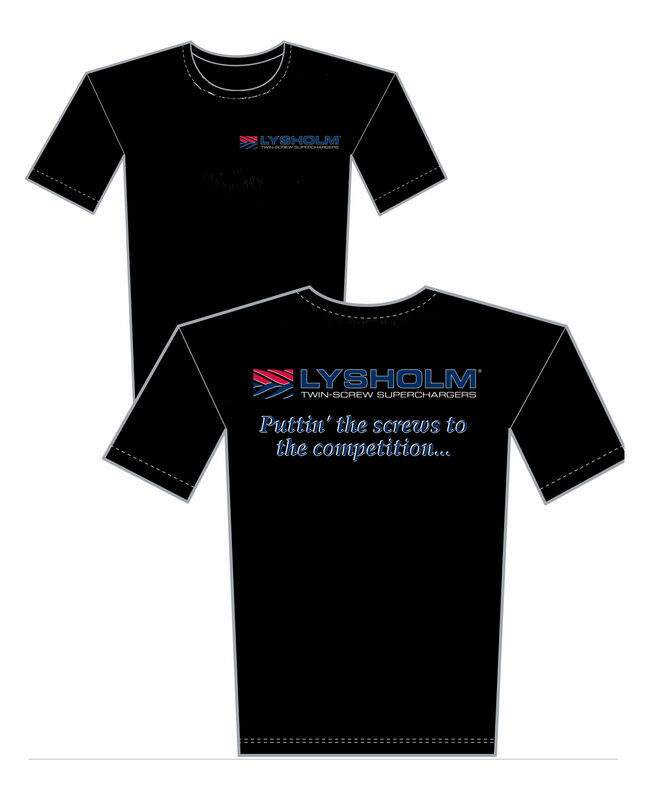 "Lysholm: Puttin' the Screws to the Competition"
New shirt design for 2011. Features big Lysholm logo on back along with "Puttin' the Screws to the Competition." Smaller Lysholm logo on front. Available in Black, Large, XL, and XXL.